Already back for more adventure? We like explorer types, and we have the perfect weekend ready for you brave foodies. This is a weekend for the Indiana-Joneses of food; for those of you who can’t get enough of discovering new [insert braised food item here] or [insert other unusual concoction here]. Week two takes us on a short drive to Moncton for rotating restaurants, expert craft beer, and even more maple syrup! We just can’t get enough this season. Did you know you can even maple glaze healthy foods like carrots? You really can put that stuff on everything. No judgement here – we’re silently writing down the recipes for ourselves. Maple taffy on the snow at Trites Maples Sugar Camp. First stop: Trites Maples Sugar Camp. Take the 15-minute walk through mature maple woods and indulge in even more maple this season. 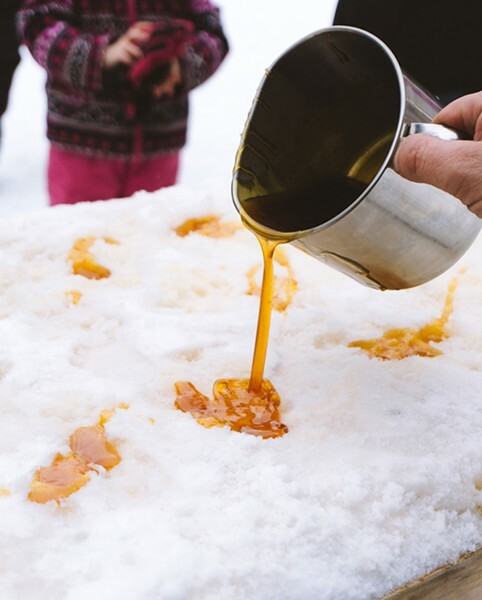 Nothing beats boiled down maple syrup poured onto the snow, if you ask us. Folks have been enjoying Trites’ 100% pure maple syrup since before 1900, and you can still enjoy sap from the same trees. Try it on their famous pancakes, which are made using local New Brunswick buckwheat. Drench them in-house or take a pack for the road. 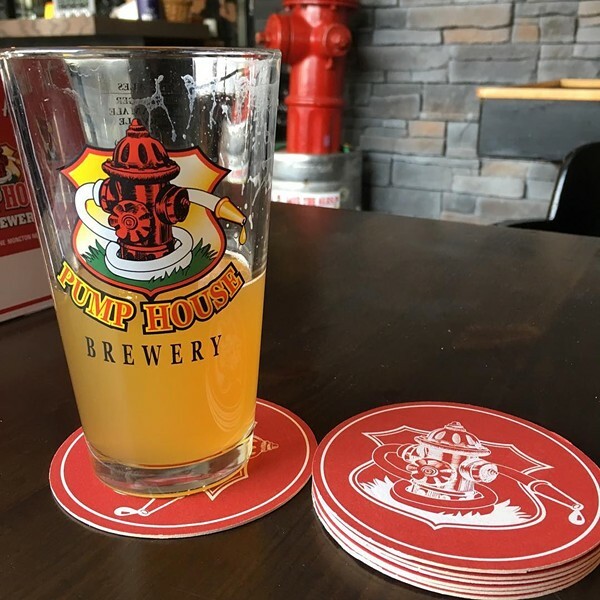 Known as the “favourite of discriminating beer drinkers” across Canada, Pump House Brewery is our second stop for the weekend. Its founder, Shaun, went from being turned away from jobs with big breweries to crafting his own Fat Tuesday brews right on Main Street. Now you can be a part of the ever-expanding tastes created by this retired firefighter (like his wood-fired pizzas). Drop in to down a glass of – you guessed it – Albert County Maple Ale, combined with sweet Atlantic sap from Briggs Maples. Moncton has some of our favourite breweries like Flying Boats Brewing Company or CAVOK Brewing Co., and we suggest ending the night at Tide & Boar because who doesn’t love a little gastropub food after a night of brews? The Boar Poutine is at the top of our list, made with braised boar, chicken gravy, caramelized onions, and who could forget those cheese curds? We’re giving mad props to anyone who can slay this beast. It’s the perfect bedtime snack. We’re not trying to tell you how to live your life, but you are reading this article, so we’ll drop a tip on where to stay for the night. St. James Gate Boutique Hotel is “boutique” for a reason; when you stay here, you get the works: heated tiles, innovative bathroom fixings, and luxurious soaker tubs. Sign us up for a little Downtown Moncton glam weekend. Plus, they let you travel with your pooch and give you a complimentary glass of wine when you walk in, so they’re instantly on our good side. 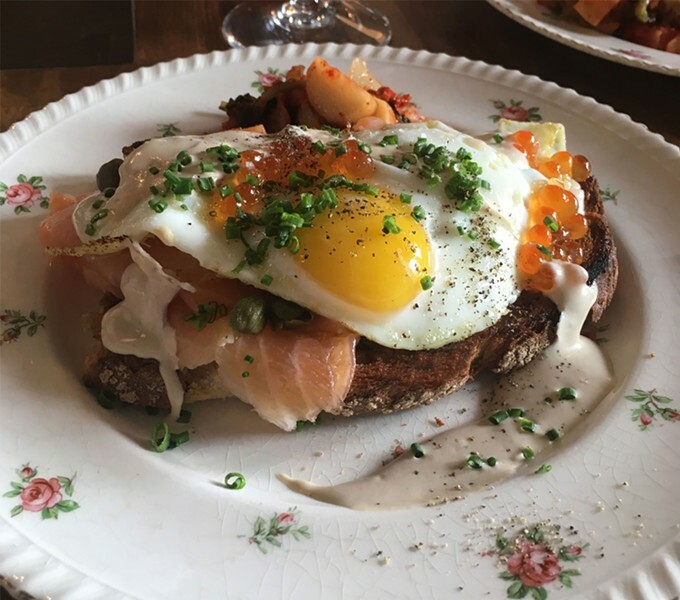 Morning or night, amuse your bouche with some light snacks and apps at Laundromat Espresso Bar. Their hours are accommodating to the night owl and the mid-morning person, and they offer a full liquor and espresso bar all day to fuel your adventures. Have two to three hours to spare? That’s the recommended amount of time to spend at USVA Spa Nordik. Just 10 minutes outside of Moncton, this spa’s hot-to-cold alternating thermal treatments will relax you deeper into your food coma. But there’s nothing like some R&R to work up an appetite again. If you’re not full yet, you will be after visiting the rotating restaurant, Les Brumes du Coude. Like a Kinder egg, you’ll never know what surprise waits for you inside. Open it up and take a leap of faith. We promise it’s the most delicious kind of blind tasting. Their weekend brunch is always a big hit, and their location in the Aberdeen Cultural Centre means for dessert, you can enjoy a little art. One more stop before we call it a night? 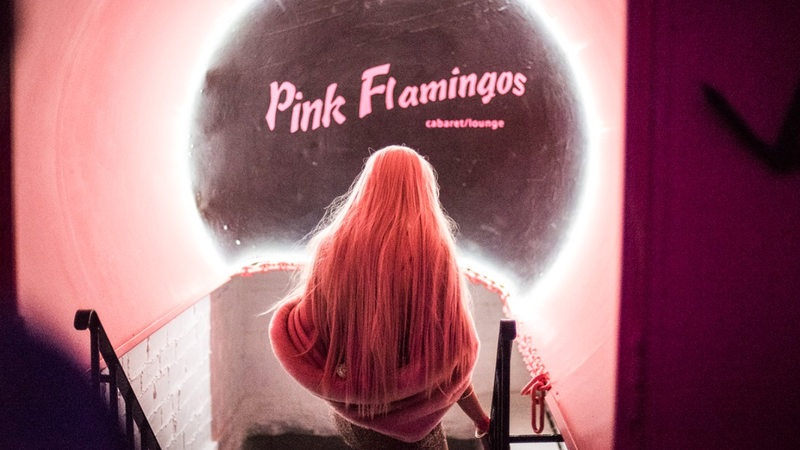 If you’ve got ants in your pants and have a craving for some dance, head to Pink Flamingos Cabaret/Lounge. The eclectic offerings vary between karaoke, drag shows, and dance parties to help burn off some of the delish dishes from the weekend. We’d give you more, but we don’t think you’ll be able to handle it. If we’ve sent you off with a full belly, and an even fuller heart, we’ve done our jobs (for now). It doesn’t get any more “where’s the fun” than Moncton, but if you want to see us try, you’ll have to check back in next week to see where we’re off to. This content has been developed and paid for by Tourism New Brunswick, without involvement from The Coast’s editorial department.